I'm sure you're thinking it's weird to see Christmas cards already but I had to try out some of the new product I ordered from the 2012 Holiday catalog. I wish I could remember where I saw this layout, but I just can't. That's why I like to write posts after making the card cause I can give credit where credit is due. Sorry if that person is you. I love how the tree is actually cut out of the whisper white to show the designer series paper underneath. 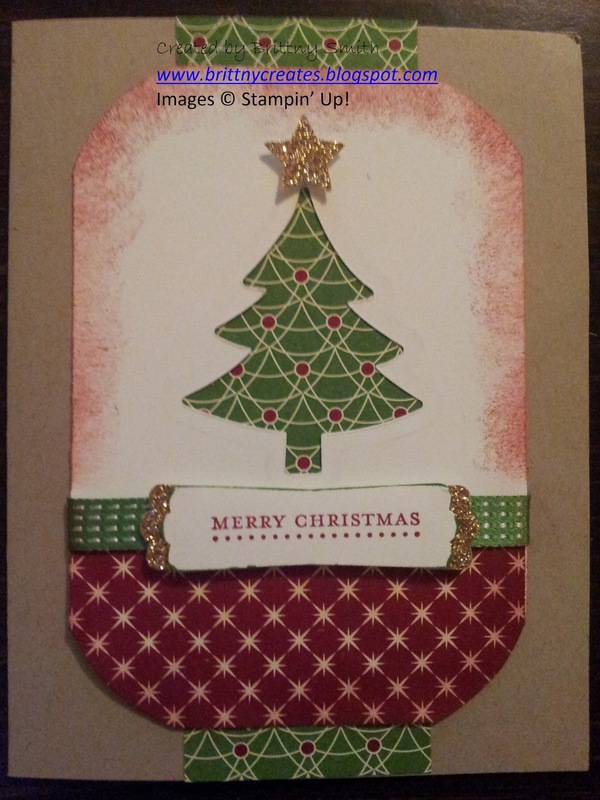 This was easy to do using the new Holiday Collections Framelit Dies. They go along with the Scentsational Season stamp set that you can order as a bundle and save 15%! 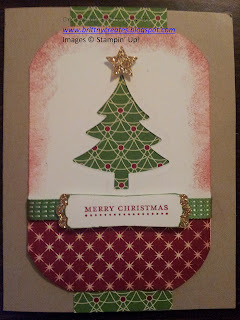 I absolutely LOVE how Stampin' Up! is starting to offer bundles of product at a discounted price. And if you want the stamp set you should DEFINITELY order the framelits because you will love being able to do so many different things with both.